Who are Members of Impact100 Westchester? Impact100 Westchester is open to all women age 18 or older. Memberships are renewed annually. We pool members’ individual resources to make large collective donations to applicant nonprofit organizations serving Westchester County. The aggregation of member dollars creates a rare opportunity for nonprofit applicants and allows members to have a significant, positive impact in the county. Is my donation to Impact100 Westchester tax-deductible? Impact100 Westchester is a 501(c)3 nonprofit organization and donations are tax-deductible, to the extent of the law, for the year in which the donation was made. Members are required to donate $1,100 to join. $1,000 of this amount goes into the Grant Fund to be awarded to grant recipients. $100 goes into the Operating Fund to help cover essential operating and administrative costs. Each member is entitled to one vote, in person at the Annual Meeting or by absentee ballot. I would like to contribute more than $1,100. Do I get more than one vote? No. Our founding principle is “one woman… one vote.” Additional donations are welcome; however, your entitlement to vote remains the same. My company or my spouse’s company matches funds for charitable donations. Can I give $550 and have the company match it to make my total $1,100 donation? No, matching gifts are most certainly welcome but may not be used to fund your own membership donation. Matching gift funds are generally used to cover operating costs; however, they may be designated to fund a gifted membership. Can I be a part of Impact100 Westchester without making the full $1,100 contribution? You can become a Friend of Impact100 Westchester and play a very important role in our organization. All Friend donations are tax deductible to the full extent of the law and will be allocated toward our operating expenses. We welcome donations from individuals and local businesses to offset administrative costs. Although they do not provide voting rights to the contributor, these donations help ensure that we have sufficient funding for our operations. 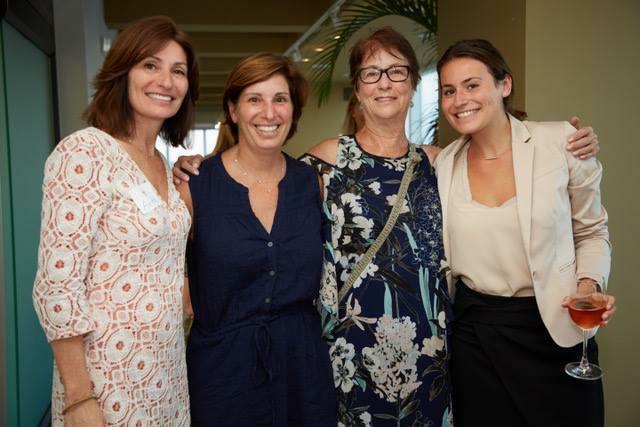 To promote an inclusive and diverse membership, we offer 3 types of scholarships to reduce the cost of membership: Young Philanthropist, Matching Membership, and Nonprofit Organization or Westchester Government Employee. More information and eligibility requirements are available here. What does the $100 operating cost cover? $100 covers costs such as: Member events, training, Annual Meeting, nonprofit information sessions, member events and training, technology, payment processing, printing, supplies, insurance, Independent Accounting Review, Member Scholarships. Can I join more than one committee? If I am a grant writer, nonprofit employee or nonprofit consultant can I be an Impact100 member and participate on committees? You may be an Impact100 member and you may attend the finalist site visits that are open to all members. However, if you are writing a grant for or working with any nonprofits during a given grant cycle, for that cycle, you may not participate on any Grant Review, Focus Area Grant Review or Finance committee nor may you attend any first round site visits open only to Grant Review committee members. What are the important dates for the 2019 Grant Cycle? Not receiving emails from Impact100 Westchester?